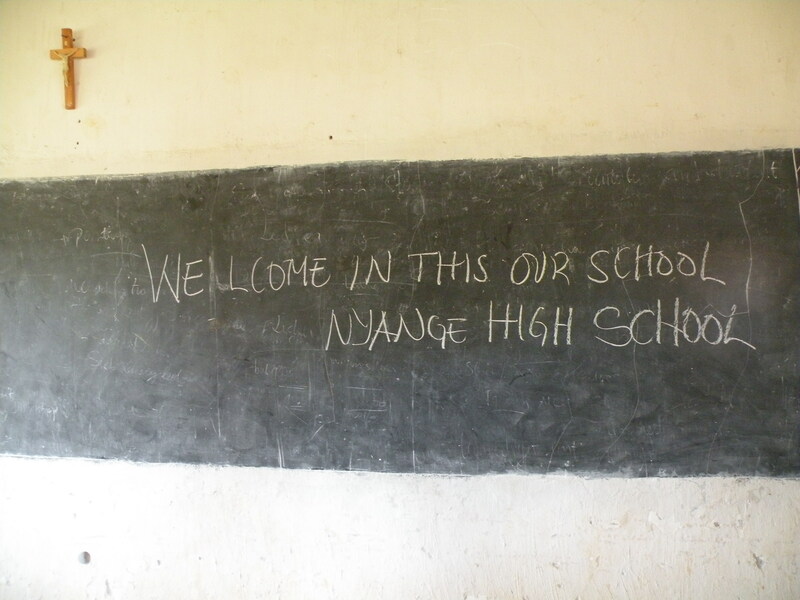 This morning we visited a memorial commemorating an event in 1997 at Nyange School. Three years after the genocide a group of infiltrators came into a school and told the children to divide themselves: Hutus on one side and Tutsis on the other. But these children had learned a lesson from the genocide and refused to be divided. “We are all Rwandans,” they insisted. Angered by the children’s obstinate courage, the infiltrators killed six of the children who had banded together during this incident. These children who remained steadfast in their resistance to the infiltrators attempt to manipulate them and were slain as a consequence, are rightly remembered as heroes. The memorial is a modest grave behind the school. The school continues to function as a school today. We toured the classrooms and tossed around a Frisbee with the students. After visiting the school, we went to a memorial site at Bisesero called the “Hill of Resistance”. 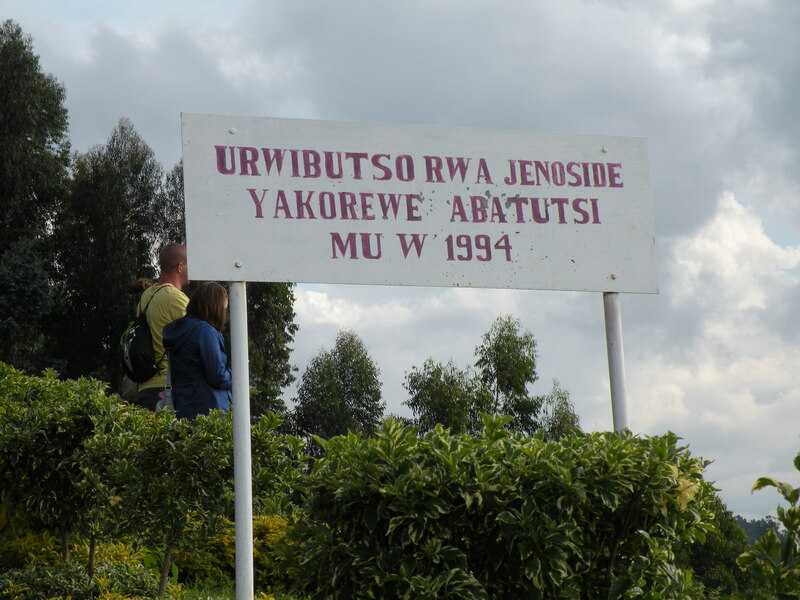 It was at this site where the Tutsi population sought to defend themselves by strategically assembling atop the hill in order to throw rocks at their attackers. Initially, their defense worked against the killers’ clubs and machetes. However, the Tutsis’ humble efforts were no match for the second onslaught of attacks that included modern weapons and a heightened level of genocidal organization. Approximately 50,000 people were killed at Bisesero. Survivors numbered around 1,000. We visited a section of the memorial filled with thousands of skulls and bones of victims. 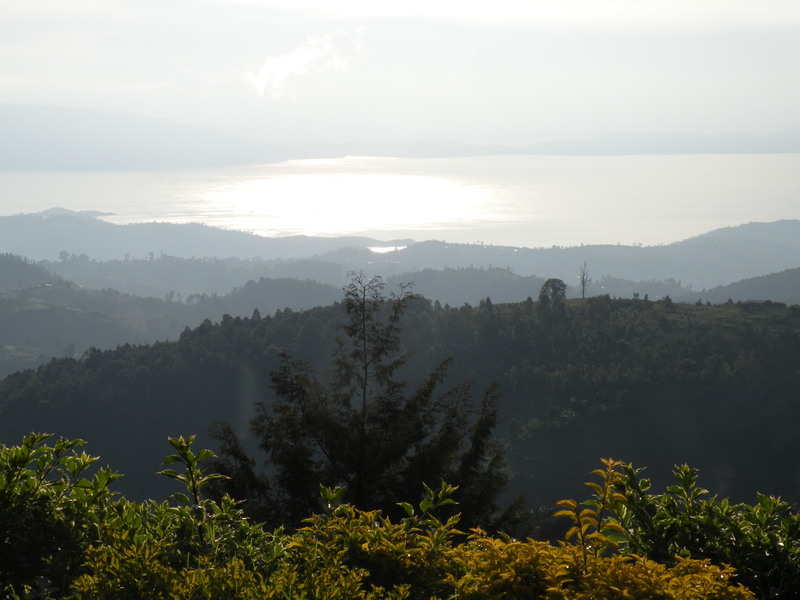 It was so bizarre to see these remnants of such horrific abuses against life, while at the same time being able to peer outside at the stunning scenery including beautiful Lake Kivu. It was hard to fathom that the site was a place of mass murder. All that we could see for miles was luscious greenery, the sparkling lake, smiling passers-by, and the brightly coloured sky as the bold sun began to set. The contrast between the locale’s present life and its history of death was stark. Damascene told us that the Tutsis at Bisesero especially wanted not to be slaughtered like animals, but to (at very least) have had the dignity of fighting back against the genocidaires. Now, people who turned so dramatically against one another during the genocide have returned to being neighbours and in some cases, even friends. How is this possible? What are we to think about victims who fought back in resistance versus those who gathered in one place because they wanted to be killed with their family and friends? Can genocide happen anywhere? What is the best defense against the instigation of genocide? In what ways does the Internet make it less likely or more likely for genocidal ideologies to be propagated and how do we guard against this possibility? In gratitude for their support of this trip, this post is dedicated to Matthew Raketti, Chris Tonellato Barnstead, and Jeremy Fraser.